Rivers of Light, the new nighttime show at Disney’s Animal Kingdom, officially debuted on Feb. 17. This is the first time the park has had a nighttime show and it is helps further efforts to transform the park into a day and night experience. When FastPass+ became available two weeks ago, I quickly snagged one for yesterday, which was the show’s 4th time officially running to guests if you don’t count the soft openings. I had seen videos and pictures all over social media, but I knew I had to check it out for myself. There are three different ways to experience this show: the Rivers of Light Dining Package, FastPass+ and Stand-By. There are also three different entrances for these, which I noticed was a little confusing to some guests. Though there is signage, there are queue ropes set up all throughout the Asia section of the park and near the entrance to Dinoland as well. That area is for dining package guests, and it appears that they can enter first and are seated on the stone benches. The FastPass+ entrance is right near the entrance to Expedition Everest and there is a banner that says ‘Disney FastPass Entry’ right next to the doors. There were people already lining up at 5:45 p.m. Normally with FastPass+, you cannot gain entry into the experience more than five minutes beforehand. However, with the popularity of this show and being that it’s so new, I noticed that they were letting people in well before the FastPass+ start time. All of the FastPasses for Rivers of Light have an entry time between 6:35-7:00 p.m. Tip: DO NOT WAIT UNTIL 6:35 TO GET IN LINE. Like I said, people were waiting in line 50 minutes prior to the ‘start time’ of that FastPass and the theatre fills up quickly. I went in around 6:20 and it was more than halfway full. Luckily, I got a seat pretty close. The seats in this section of the theatre are similar to the ones you sit on for Fantasmic! at Disney’s Hollywood Studios. If you want to get a good seat, or just a seat in general, just know that you will be doing a lot of waiting around. The show starts at 7:15 unless there are any delays, so it’s possible that you’ll be waiting at least an hour for it to begin. The good thing is that you can exit and re-enter as long as you obtain a lanyard from a cast member, so this means you can grab a drink, buy some food or use the restroom. I noticed that there were carts inside the theatre selling ice cream and things of that sort, but nothing equivalent to an actual meal. It’s pretty cool to watch the river and its surroundings transform as it gets darker out and closer to show time. The trees start to twinkle and the lotus flower floats start moving into place a few minutes before the show begins. Once the show starts, you’ll be hooked from beginning to end. It celebrates and recognizes the fact that we are all ‘one’ on this earth and how beautiful that relationship truly is. It’s a wonderful message and is presented in such a colorful, vibrant, breathtaking way that you honestly won’t know whether you want to snap a million pictures or set your phone to record. I opted for photos this time, but I’ll be going back plenty of times to take video and more photos. I wish I had a camera better than the one on my iPhone because these pictures do NOT do this show justice. It’s one of those things that you need to experience for yourself in person. Full disclaimer: I am a girl who loves fireworks. Wishes is my favorite nighttime show (until it leaves- yes I am still mourning that) and I didn’t know how I would feel about Rivers of Light. I knew, of course, that for the safety of the animals, fireworks were just not possible and I wondered if I would still enjoy it even though every other nighttime show at Disney incorporates fireworks. But in my honest opinion, this is the show that Animal Kingdom needed. It didn’t need to be centered around Disney characters to be entertaining and feel ‘at home’ in a Disney park. This show fits the vibe of DAK and it’s beautiful without being over the top. It incorporates a variety of elements that fit well together and I think it’s one of the prettiest things Disney has ever produced. Once you see it, you’ll understand why it took as much time as it did and you will have a deeper appreciation for it- I promise. 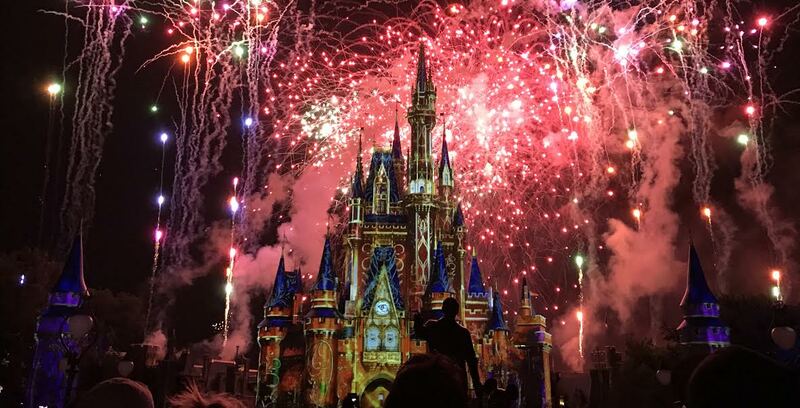 I will say this- be sure to check the My Disney Experience app and pick up a times guide while you’re in the park because the show does not play every night and some nights it will have more than one show time. People seem to be pretty agitated about that because they’ve planned their trips far in advance and their day at DAK happens to fall on a day that the show doesn’t run. As of right now, it plays on Tuesday, Thursday, Saturday and Sunday so if you can, plan accordingly. All in all, this is a show that is not to be missed. It’s delightful and an excellent way to end your ‘wild’ time at Animal Kingdom. Congratulations to the opening cast and crew of Rivers of Light- you did a remarkable job!